I’d like to invite all of you who may be in Vancouver this evening at 7, to come in to the beautiful & luxe fashion boutique, LARK. 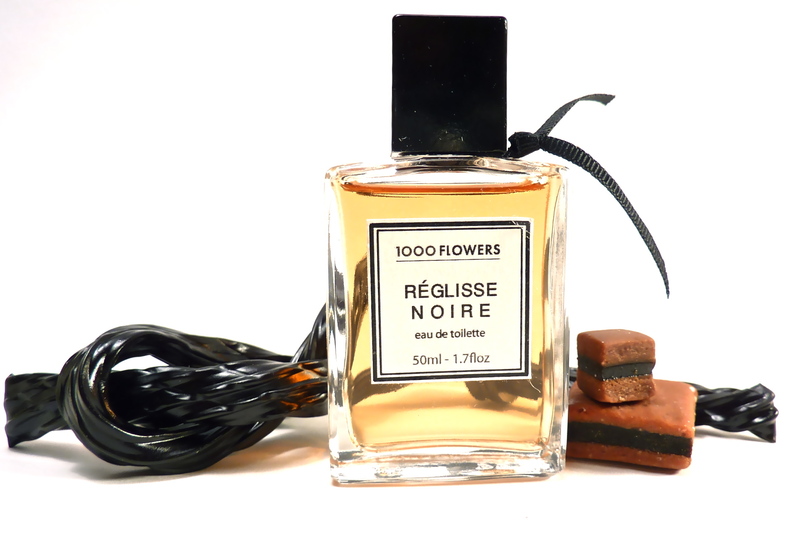 We will be having a launch party for Reglisse Noire and Fleur No1 as 1000 Flowers makes her debut in Vancouver, BC. New Year’s has come and gone, school has finished and I received my diploma as <<student perfumer>>. So now what? you may all be wondering? Well, so am I!! I am now officially, a student of perfumery! The next step, technically, classically, is to train under a Nez for 9 more years before ever hoping of attaining the title of ‘Perfumer’. This is the tradition. I respect that- but how to do it? As you know, I have been offered an internship at Mane & Fils for 3 monthes beginning whenever I choose. I had heard rumours of what the placement involved, but about a week ago, I phoned the director of the department where I would be working to get a detailed description of the project. As it turns out- they are creating a data-base containing descriptions of all the most commercial mainstream –shampoos, shower gels, and fabric softeners– from the 8 main marketing regions of the world. It would be our job to smell, evaluate/categorize 100’s of these products and enter the info into the reference library. Interesting? Perhaps. But for 3 monthes, full-time, with no hope of working with raw materials, or creation on any level, I question its value. At least for me. If I was hoping to get my foot in the door with Mane for a future job, maybe. But I have to remember why I came to France in the first place- to learn the art of perfume creation in the classical French tradition. True, there are some great and creative formulae in shampoo and shower gel (believe it or not), but I would not have any contact with the creation aspect of these. However, I was feeling still very unsure of my decision so went to see the director of PRODAROM (http://www.prodarom.fr/UK/prodarom-accueil.htm) to ask his advice. He agreed that perhaps this was not ideal or me, so made a call which got me an interview at Payan Bertand, a Grassois company founded in 1854. (http://www.payanbertrand.com/index.php?_lang=GB&&alias=society) There I met with the director of the perfumery department and had a brilliant conversation that helped me feel inspired if nothing else. This man asked me what I wanted with their company (I said, an internship in the creation lab- working with raw materials), and he asked, for how long can you dedicate yourself to us? (To which I answered truthfully, seems how I’m running low on $- for 1 to 3 monthes). He then told me that realistically, for a period as short as that, there was not a lot I would learn! Of course! He then said, what I really need to do, is set up my lab and get to work practising, because with a year of school under my belt, this is the only way to continue to learn anyway- even under the tutelage of a Nez, one can only continue to learn by constant practise. He gave me his card and said that he would be there for me if I had any questions at all, and that they could send me samples to help get started. And that was that. I left feeling quite elated and by the time I got home, I thought, but what if I was to offer myself to them for longer, for a serious length of time. So I proceeded to write a letter saying that I would be happy to dedicate myself to Payan Bertrand for 2-5 years either here in Grasse or at another of their subsidiaries internationally. I now await….. But of course, what he suggested is what I really want to do! Of course! My passion and love is studying the raw materials so I can fully express myself and create beauty in this medium. But I also know how much I don’t know…and only time and guidance can fill in those blanks. so how to make the most of my remaining time in the mecca? Yesterday, I phoned the perfumer Michel Roudnitska. (www.art-et-parfum.com/legend.htm Read the articles here about Edmond as they are most interesting) I was put into contact by a wonderful woman I have come to know from Toronto who is a friend of his. (http://web.mac.com/sixthscents) And next week, I have an appointment with him! This man is the son of Edmond Roudnitska who was a master perfumer and who created many masterpieces. Their approach to perfumery is the one I am most interested and inspired by- that this is an art form and one that connects deeply with our inner selves. It is about beauty and the expression of it. As well, Edmond was the man behind many of JC Ellena’s ideas, including simplicity in formulation. He was a thinker and always worked outside the constraints of pure commercialism. I feel like I am going to the source with this move, rather than taking the path most travelled. Other than this wonderful upcoming experience, I am also trying to decide when and where for my next steps once I leave France. (I feel sad even saying that…but I console myself by saying- I’ll be back) There are a many options written on post-it notes and stuck all over the wall beside me! – 1.a month in Mexico- resting and studying my books- while I wait for the snow to melt in Nelson. 2. a month in Rome volunteering in a cat sanctuary in the ruins (this is something I ‘ve wanted to do for years)(http://www.arkonline.com/rome.htm) 3. going straight to Montreal to check it out seems how I am seriously attracted to the idea of living there. 4. going straight to Nelson to get to work on my business (it’s so cold and there’s tons of snow!!) 5. contacting an Irish perfumer I have found out about and seeing if he would take me as an intern (postscript…. I tried to contact this man and sadly found his obituary- see below) Those are the main ones- there are others, like travelling in Tunisia, Morocco or Turkey that have been ruled out due to high cost….who knew it was so expensive in these countries! It’s cheaper in Grasse! Since I am feeling quite up-in-the-air right now as to what the ‘best’ decision is…I am very open to advice! I am feeling quite humble these day actually and aware of ‘all that I don’t know’, so if anyone out there has a perspective, I am interested to hear! And by the way, as I wait, I am going through all my perfume samples (all the Miller Harris and many Annick Goutal, for example) and evaluating, dissecting and note-taking. A great way to keep my nose tuned up! Also in a few days, it will be exactly one year since I arrived in France! Un anniversaire d’importance! I have spent some more time in Italy, and eaten a fantastic ultra-fresh seafood dinner in San Remo, with the Mediterranean pounding in the background thanks to the same wind. I have driven about 50km into the mountains behind here to see a Fete de Narcisse as well as gorgeous vistas. I’ve stood at the base of the red carpet opening night of the Cannes Film Festival and walked the docks looking at the massive pleasure yachts from around the world. All this decorated by the flora that is blooming in ever-changing waves of beauty. The wisteria finished, followed by the acacia trees, dripping with white fragrant clusters of flowers. Then the broom, especially up in the mountains, and the bougainvillea, brilliant intense masses of fuscia, red and purple. Of course the roses as well, oh, and the olives bloomed somewhere in between the acacia and the passion flowers. Now, a shrub I find very intruguing, the oleander, is in full bloom, with blossoms of pink, white or red. Our teacher is a sweetheart, although her teaching style is very much her own and we have had to learn how to put the pieces together to have any clue what she is talking about. Being dropped into Grade 12/first year college chemistry is a bit shocking to begin with and, like all the teachers, her grasp of English is very limited, so my ‘Frenglish’ continues to improve! She is a chemist through and through, but she said something the other day that I love. She said that we really don’t know anything; we can think that we do, but it is very likely that somewhere down the road, what we think of as fact, will be proved wrong. So there is no point being overly attached to anything as truth. Maybe for now it is, but maybe not tomorrow…. 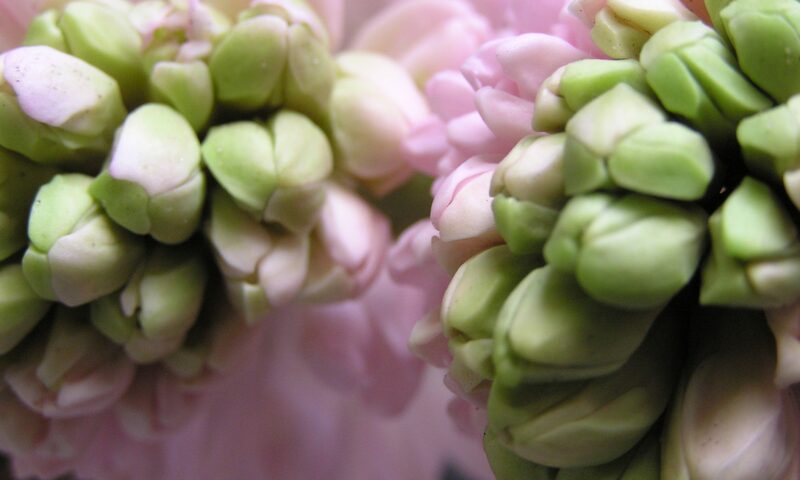 Otherwise, we continue to study formulation with Max and have also begun to study marketing and the perfume genealogy of existing perfumes with a new teacher who is very proficient in English and has been in the marketing side of the industry for about 25 years. We will study by smell many known fragrances and learn to understand their olfactory structure as well as their industry classification. Next on the agenda is the World Perfumery Congress that will take place in at the Palais des Festivals in Cannes for 5 days next week. This is a huge event, occurring every 3 years, where there will be an exposition showcasing producers of everything from raw material producers to packaging, as well as lectures all day every day. The students of GIP have been drafted to work there in exchange for a free pass! (a ticket is about 900euros) We have no class scheduled so that we can attend the event. I will be working early every morning at the ‘Photo Booth’, although I have no idea what that is! I am very excited about this opportunity, as we will have the chance to meet people from all facets of the industry from around the world from the inside, as staff. I only work for about 4 hours each day and can attend the lectures the rest of the time. Here is a link to the site so you can have more information….www.worldperfumerycongress.com Look under ‘program’ and then scroll down the menu to see the list of lecturers. I just came back upstairs from this Friday’s Place des Artistes show, and the artist was a wonderful gregarious woman named Ariane Maman who does small paintings, some with collage and some with images bearing a venus of willendorf flavour as well as potent sculptural pieces made of found objects. I love art that is made this way. Old pieces of rusty metal, enamel, wire and wood, compiled to create images of sometimes tortured beauty. I told her how much this appeals to me (she speaks English!) and she explained that to her, found materials are like the pieces of us. The experiences and people in our lives, sometimes discarded, are the pieces that form who we are. We are always fitting all these bits together to create ourselves and always moving upward to be better and better. Like totems. Her pieces really were like this; many almost as tall as me, and like skinny voodoo entities with wild nuts and bolts and rusty springs and rope giving them their personallity. She gave me her card and said ‘call me! we’ll have dinner or a drink or whatever and visit!’ I absolutely will and look forward to it. I am so happy that I am only moving around the corner from here; the artist’s quarter. This town is full of artists. Perhaps this is a phenomenon of France, or of this area in particular, je ne sais pas, but I love it and am enjoying its deep inspirational influence on me. A friend said to me once, the greatest gift is the gift of inspiration, and I have to say that the greatest feeling is being inspired. It is a well spring of internal bliss.